For a technology rich product, winning user acceptance is crucial. User acceptance depends on the usability of the product. Well, that is exactly where mobile interface design plays an important role. To present a technology pact product to users requires innovative UI design to make it acceptable to users. Customer interaction with your mobile applications is through your user interface. The user interface changes from device to device. It is distinctly different from desktops and laptops. When we develop a mobile phone UI design, we ensure that it is user friendly and provides the best user experience. Mobile apps and sites have unique UI design requirements because, compared to their desktop counterparts, they’re used in smaller screens and, at least with today’s modern mobile devices, rely on fingers instead of a keyboard and mouse as input mechanisms. Our approach towards the design process is methodological and this enables us to create flawless user interface designs. That is why our applications are easy to use for the customers. You just need to give us your basic concept and our creative touch will visualize professional UI with innovative and consistent look. 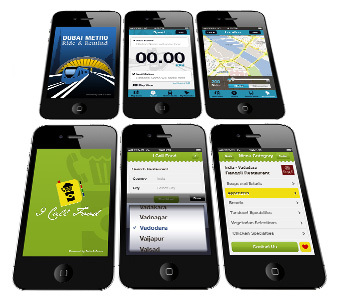 We provide a perfect solution for the mobile interface design for your web apps.